A new year is upon us, and with it comes a new batch of nail polish colors you’re about to see everywhere. 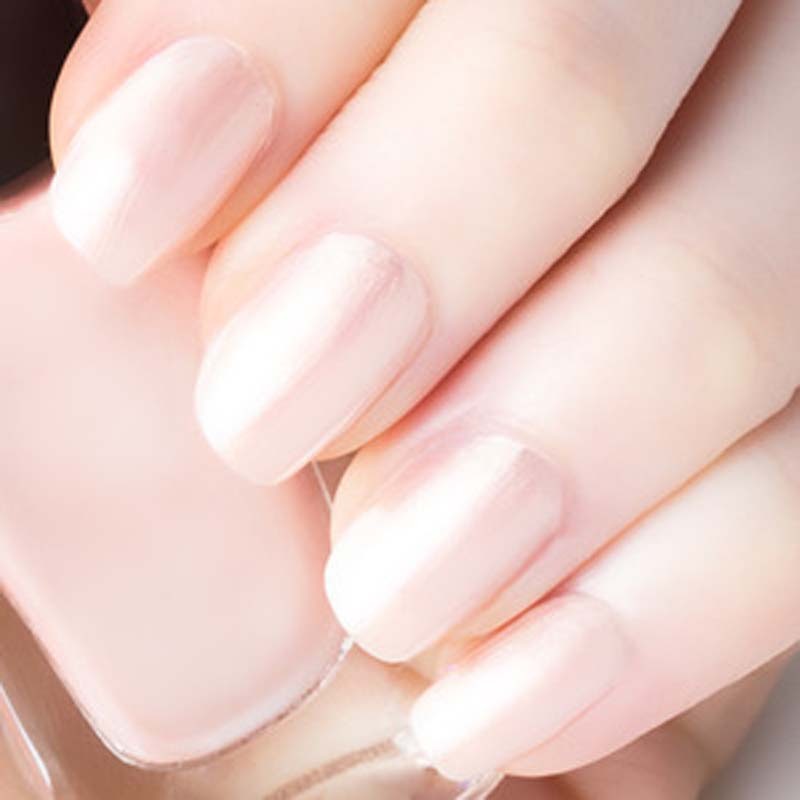 That’s not to say that you should throw out your tried-and-true shades—your sheer pale pink mani isn’t going anywhere anytime soon—but if you’re in the mood to mix it up, we’ve got a roundup of colors that our beauty editors are betting on in 2019. Here are the six nail polish shades that all the cool kids will be wearing in the new year—including you! Deep blues—think sapphire, cobalt and navy— manage to look both elegant and mysterious. 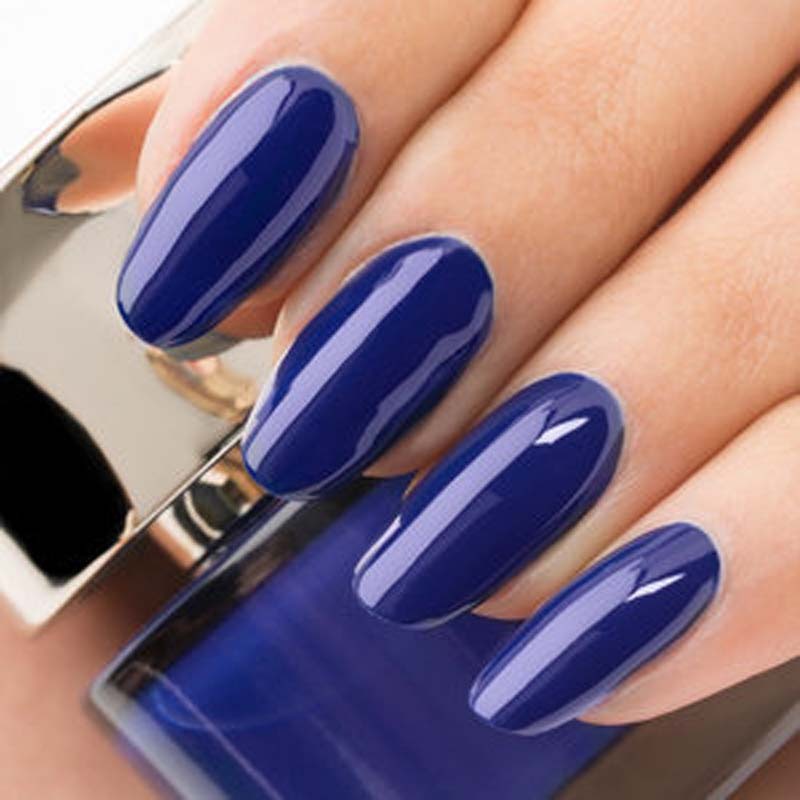 Try Smith & Cult Nailed Lacquer in King & Thieves for a dark, inky blue with a high-gloss finish. You heard it here first: Gray is the new neutral of 2019. It’s incredibly versatile (because what doesn’t go with gray?) and gives your look a minimal yet modern edge. You can keep your hands from looking frostbitten by sticking to grays with a balance of warm and cool tones like Smith & Cult Nailed Lacquer in Subnormal. Red nail polish will never not be in style, but this year, expect to see bright, orange-based reds on everyone’s tips. 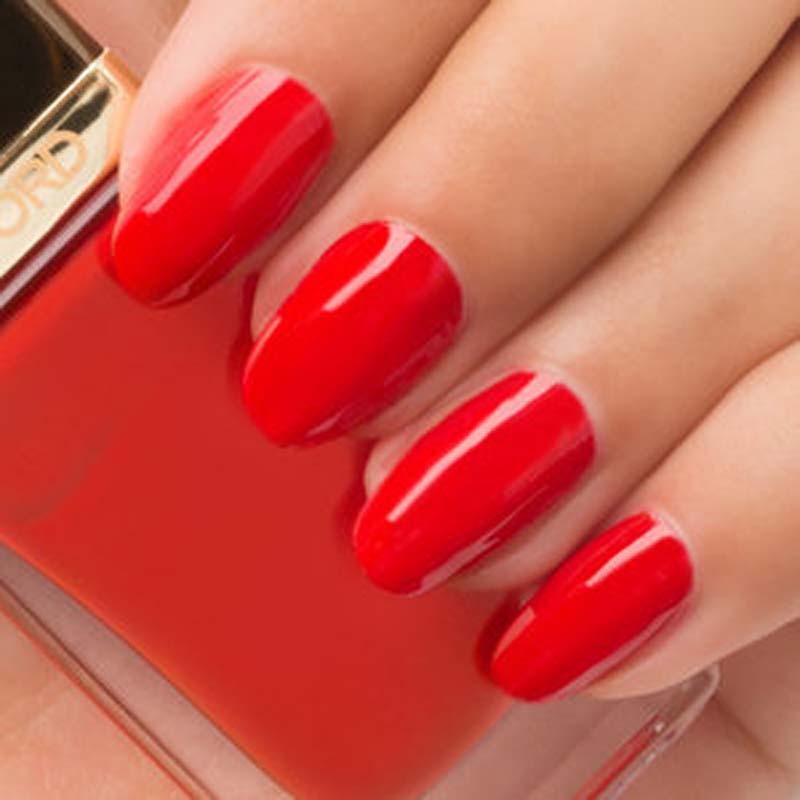 Essie Clambake is an editor-approved standby, but our eyes on are on TOM FORD Nail Lacquer in Scarlet Chinois for a universally wearable hot red. Pearls will continue their comeback in 2019—but this time, they’ll be on your nails. Pearlescent shades like Inglot Cosmetics O2M Breathable Nail Enamel in 630 add a hint of luster that flatters all skin tones, and the sheer finish disguises chips and streaks well, too. 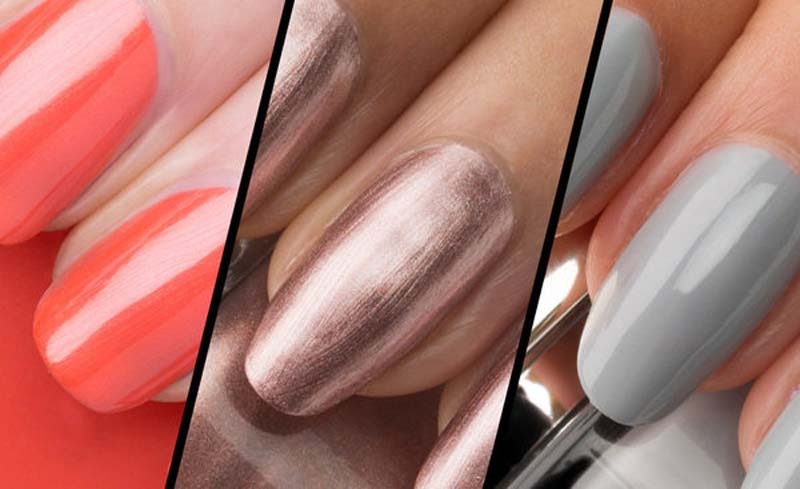 Metallic nail polish will level up this year with super-shiny chrome and foil finishes. 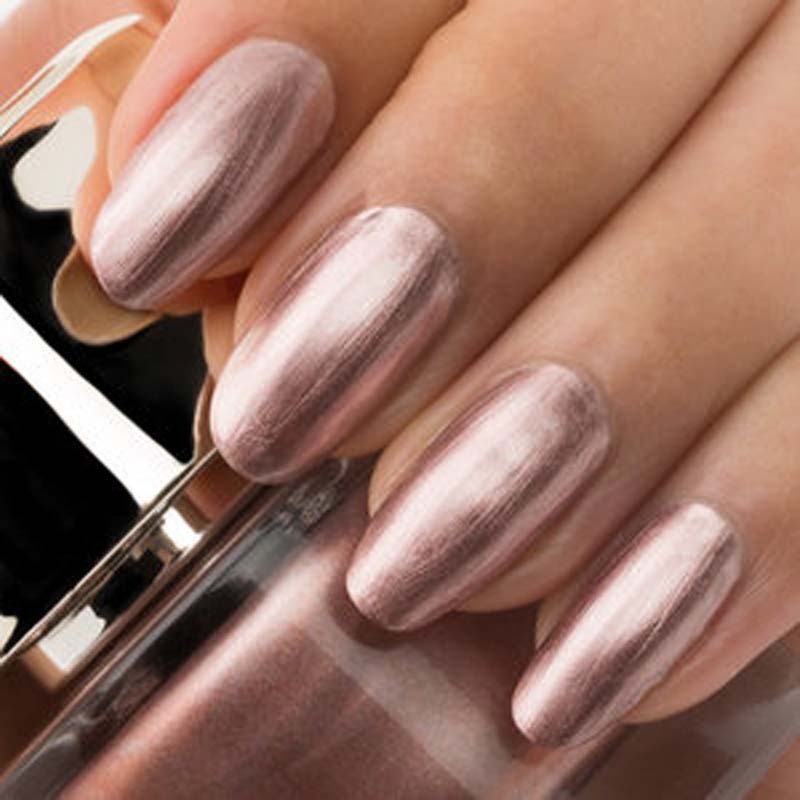 Get the liquified-metal look with 1972 , Smith & Cult’s bestselling rose gold foil polish. When Pantone drops its Color of the Year, it always has a ripple effect in the beauty world. 2019’s, choice, Living Coral, is a warm, fresh, lively hue you’ll soon see everywhere. To nail the trend, opt for an opaque cream polish, like Inglot Cosmetics Nail Enamel in 846.